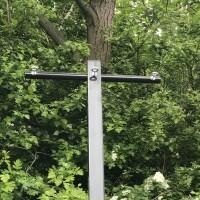 These washing poles are stocked in 2.5metre lengths although as we are the manufacturer, they can be made to any size you require, please just ask. 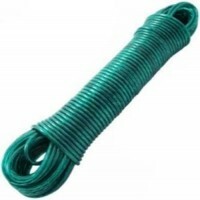 Extremely easy to fit, simply dig a hole and concrete in! 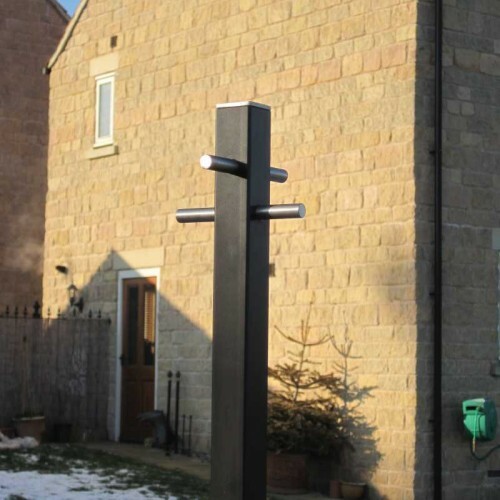 Stainless steel modern style washing line post - Heavy duty These washing poles are s..
20metre long plastic sleeved, steel core washing line wire. Heavy duty clothes line that wi.. 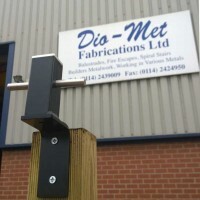 Heavy duty washing line wall fixing bracket designed to match our modern style clothes line post. 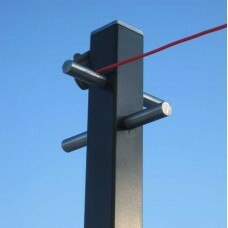 C..
Multi-line clothes poles - Heavy duty line post with facility to accomodate three washing ..